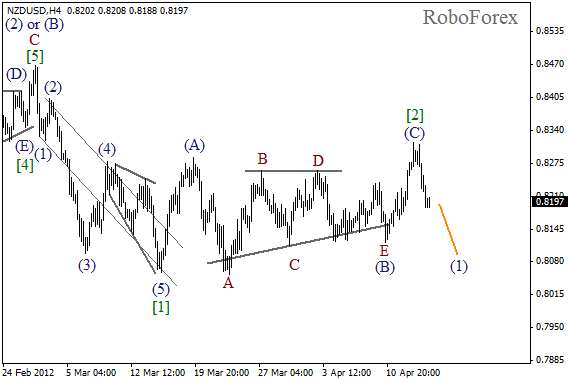 After completing zigzag pattern in wave  with a long horizontal triangle pattern inside it, the price started forming an initial descending impulse. It looks like the price is going to continue falling down inside wave (1) during the first part of the week, at least. The target is at the level of 0.8000. 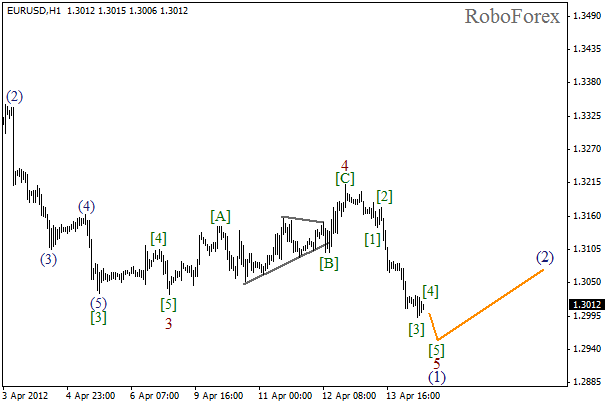 As we can see at the H1 chart, wave 5 of (C) was completed reduced. The price has almost formed an impulse inside a descending wave 1. Most likely, the price will continue moving downwards after a slight correction. 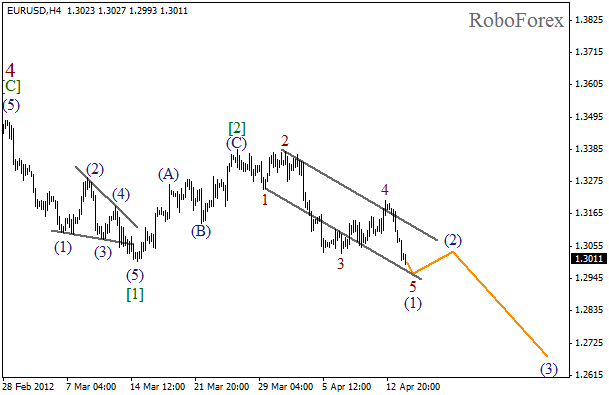 Just as we expected, the price reached a new local minimum during the formation of wave 5 of (1). It looks like the fifth wave has been already completed. Most likely, the correction will take place in the nearest future, and then the price will move downwards inside the third wave. As we can see at the H1 chart, wave 5 needs one more wave in order to be completely formed. 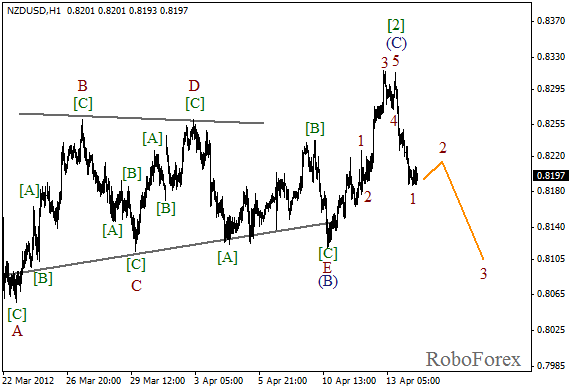 The price may finish wave  on Monday. After that we can expect the start of a local correction.